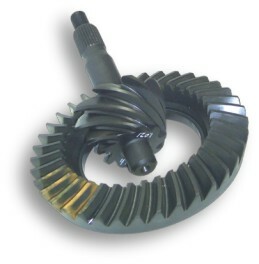 Bear's carries a large inventory of ring & pinions and bearings for a wide range of applications. If we do not stock it, we can get it for you. We offer quality brand names such as Richmond, U.S. Gear, Precision and Motive. All bearing kits utilize Timken bearings. Due to the wide range of applications we are unable to list everything, if you do not find what you are looking for you can contact our sales staff and they will assist you. Due to market conditions (unless specified at the time of order) you will receive either Richmond, Precision or Motive Performance gears based on availability at the time of order.